Consumer spending in the UAE is expected to exceed $261bn in 2021, compared to nearly $183bn in 2016, according to research released by the Dubai Chamber of Commerce and Industry. Spending is set to grow at a compound annual growth rate (CAGR) of 7.5 per cent over the next five years, it found. The analysis also showed that consumer spending accounted on average for about 45 per cent of the UAE’s GDP, compared to a 39 per cent average for the GCC region, 45 per cent for developing Asia, 56 per cent for the EU, and 68 per cent for the United States. Looking at consumer spending in the UAE in 2016, housing was identified as the top category with $75.7bn, accounting for 41 per cent of total expenditure during the year. Food and non-alcoholic beverages came second with $24.8bn worth of spending during the year, followed by transport ($16.7bn). “The UAE’s consumer market is largely being driven by a fast-growing population with relatively high incomes – key economic fundamentals that support a robust long-term outlook for spending growth in the country,” said Hamad Buamim, president and CEO of Dubai Chamber. Buamim pointed out that the UAE’s predominantly young and diverse population is attracting international brands and a growing number of e-commerce companies. He also noted that the country’s booming tourism market continues to drive consumer spending, especially within the retail, tourism, hospitality, and transport sectors. Looking ahead, several new mega developments are expected to be completed over the next four years in the UAE, which should diversify the country’s mix of retail and entertainment offerings, and lead to increased consumer spending, added Buamim. According to the research, communication was identified as the fastest-growing category for UAE consumer spending with a CAGR of 10.2 per cent through 2021. The trend is likely to be supported by the country’s high penetration of smartphones and other digital devices. 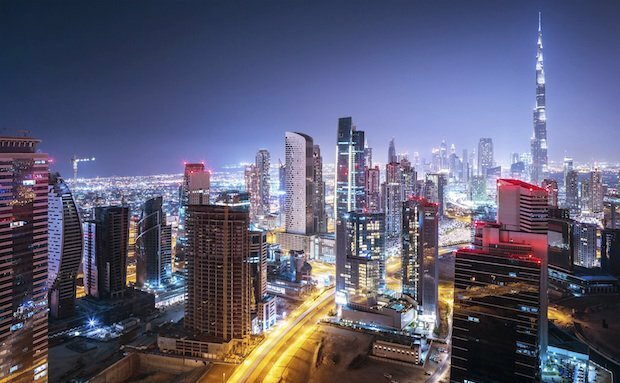 The growing popularity of mobile applications, and Dubai’s adoption of smart city solutions are also expected to boost spending in this area, the report said. Health goods and medical services was named as the second fastest-growing category for spending with an expected CAGR of 8.2 per cent over the same period, followed by hotels and catering (CAGR of 8.1 per cent). Education (8 per cent) and leisure (7.7 per cent) are also expected to see strong growth.